In the UK, almost as many as four in five road users confess to routinely exceeding the speed limit, according to a survey published in 2012. Even looking back three years ago, people admitted that speed limits needed updating, perhaps to accommodate for the surge of traffic that continues to hit UK roads as more and more people get behind the wheel. However, with so much emphasis on keeping your speed safe, depending on the conditions at that time, we often forget about another danger until were stuck behind them; motorists that simply drive too slow. Of course, there are dangers associated with each, which have been listed below. 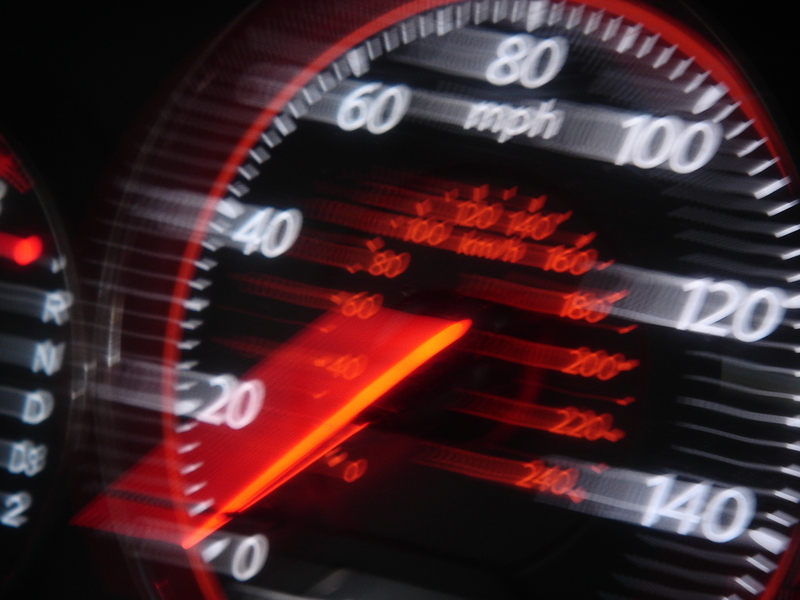 These four risks are just a small sample of the dangers of speeding. There are so many more to be aware of, which is why it is important to keep to a suitable speed. This is not only for just the road and the conditions around you, but also to comply with the law. What is the speed limit on this roadÃ?Ã¢??Ã?Ã¢?? Is it raining? What impact does this have on the stopping distance of my vehicle? These are all example questions you should ask yourself whilst driving. Now we've looked at the dangers of speeding, lets see what risks driving at a snails pace pose. Of course, there will be times when you need to reduce your speed significantly, such as in congestion or if you're a lorry travelling down quite a narrow road, in order to stay safe. However, when driving on roads like motorways and the like, moving too slow can be a serious risk. These three examples of risks caused by motorists driving too slowly are by no means the only ones predicated. So, what's the message here? Well, you need to ensure you keep an eye on your speed and drive at a suitable speed whilst complying with the road limit. As mentioned, there will also be times when you will need to reduce your speed significantly, so being able to assess and pick the right speed for a particular situation, planning ahead and driving in accordance to that can make all the difference. Of course, for fleets, these dangers can pose elevated risks, which is why fleet tracking is so sought after today. For more information, please contact us today or see our website for more details on what Phantom can do for the safety of your fleet.